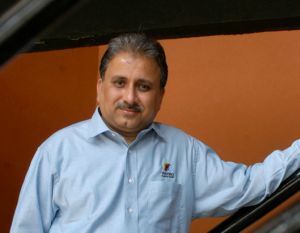 Dell Services has appointed Suresh Vaswani as Chairman, Dell India. The company has also named appointed Vaswani as Executive Vice President to lead its Applications and Business Process Outsourcing organization. He will report to Steve Schuckenbrock, President of Dell Services, and work closely with Ganesh Lakshminarayanan, President of Dell India, in his latest capacity. "We're more excited than ever about the opportunities ahead of us in India, where Dell has experienced tremendous growth in recent years," said Michael Dell, chairman and chief executive officer, speaking on the appointment. "The addition of Suresh to our team will enable us to further accelerate Dell Services offerings while expanding the reach of our global delivery operations"
Vaswani is a Wipro veteran ofaround 25 years. In his last position with the company, Vaswani was the co-CEO of Wipro's IT business and an Executive Director on the board of Wipro Ltd. The Dell Services Applications and Business Process Outsourcing organization includes more than 15,000 team members globally. Vaswani's focus will be to build next generation service offerings and grow Dell's process capabilities on a global basis across multiple industry verticals, service offerings and market segments.